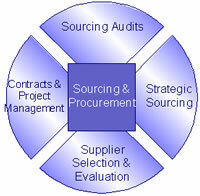 Our Procurement and Purchasing Consultants will greatly reduce costs from costly sourcing. Procurement in most businesses is by far the largest Supply Chain cost. Particularly in the current economic environment, effective and efficient procurement across your business is vital. This is equally applicable to direct procurement (products and materials) as well as indirect procurement (facilities and services).